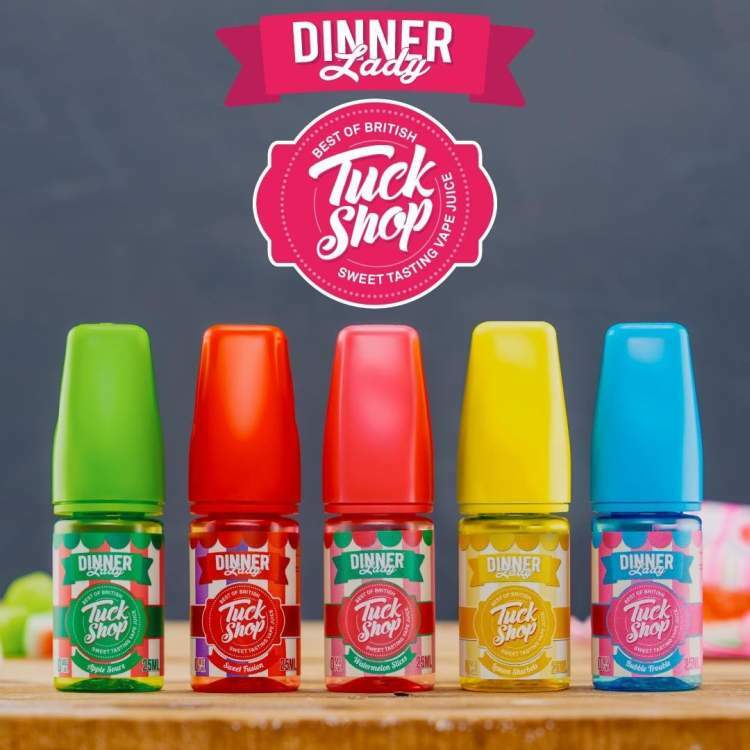 Dinner Lady have again hit the market with a new and exciting e-liquid range called ” Tuck Shop”. 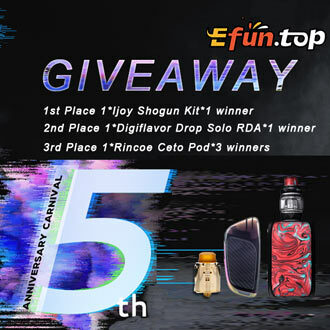 Consisting of 5 amazing and unique flavours the Tuck Shop E-liquid range is sure to take you back to those memories of childhood adventures with the great tastes of sweets and confectionery. Enjoy the best of British Sweet Tasting Vape Juice. USE CODE “JUICE50” to get the Dinner Lady Tuck Shop 25ml shortfill bottles for half price making them just £3.99. Bite into a ripe, juicy and sweet candy with Dinner Lady’s Sweet Fusion. A burst of chewy fruits in the form of a multicoloured sweet sensation which is sure to excite your taste buds! Pop cloud bubbles with Dinner Lady’s newest addition, Bubble Trouble. The iconic flavour of tuck shop bubble gum is back. If you’re a lemon sherbet lover, look no further! The dinner lady has brought us a treat and it’s one of the best! Lemon Sherbet is a classic lemon boiled sweet with a citrus explosion of sour and tangy goodness! Dinner Lady is back once again, bringing us a blast from the past with one of the greatest candy flavours of all time. Apple sours is a sweet apple, balanced with a punchy sour finish. the perfect combination to exhaust any sweet tooth. The Dinner lady strikes again with one of your five a day! Watermelon slices is a refreshing watermelon juice with a sweet and fizzy twist. Watermelon in a bottle!